More photos of our latest window installations here! 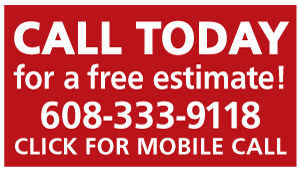 K&N is your local replacement window installer & also installs new construction windows . Replacement windows are a cost-effective solution for your existing home, since they can be retro-fitted inside the framework of your old windows, and do not require removal of the siding. Replacement windows will immediately boost your energy efficiency in both summer and winter, offer smooth operation, and enhance your home’s appearance inside and out. Get rid of those drafty, rickety old windows with the peeling paint and caulk, and cracked glass. Call K & N Exteriors today to start enjoying a bright new outlook! If building an addition to your home or replacing the old siding, or if the original window framing or studs are rotted and require replacement, new construction windows are a better solution. These are installed directly to the new studs and framing, then sealed up with new casing and exterior siding. New construction windows involve a little more time and work, but offer a snug “like-new” installation, with the usual benefits of trouble-free, virtually maintenance-free operation and better energy efficiency. 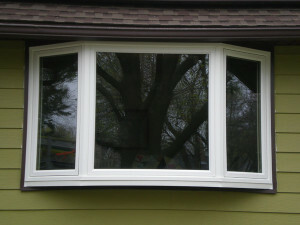 Overall, both types of window are a great way to improve your home’s warmth, value, and to save on energy costs. Add more livable space to your basement! Besides adding more light and cheerfulness to an otherwise dark and gloomy basement, egress windows provide emergency exits in case of fire. So, they are often required in basements with finished, habitable space which may be used for sleeping. K&N Exteriors can make your home safer by helping to determine the proper size and location of egress windows, and help you comply with local construction standards and fire codes while adding a valuable new space to your home!